Planning to license your data should be a part of any project that will be shared. If you share your research without a license you are not making clear how you wish the research to be used which might prevent it being used the way you intend. How research reuse rights are treated varies by place and context, so reusers need clear signals from researchers on what they can and cannot do with their research. Some funders recommend or oblige particular licenses for the research they fund. Some data centers and repositories require those using their services to adopt a particular licence. Some institutions have their own licences for research conducted at the institution. If you are obliged to use a certain licence that is non-exclusive, you can consider providing an additional version of your research under a different licence. If you would like to require that those reusing your research give you credit, you should use an Attribution condition. In Creative Commons licensing, licences that require attribution but no additional conditions are known as CC BY. In Creative Commons licensing, if you do not want to require attribution, you should consider making your research public domain or CC0 (see below). 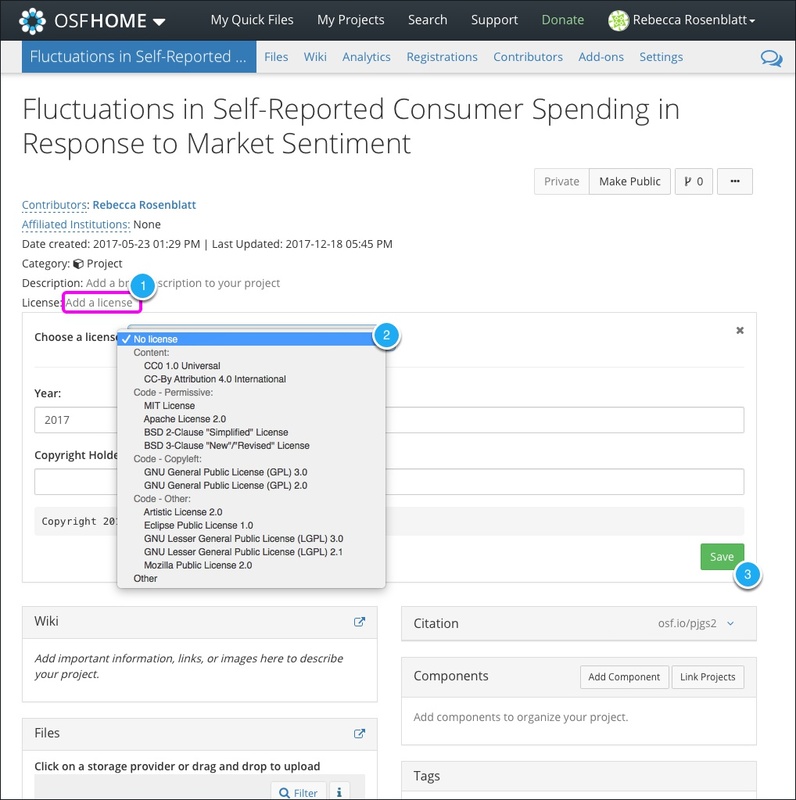 In Creative Commons licensing, commercial reuse is defined as “primarily intended for or directed toward commercial advantage or monetary compensation”. Licences that retain the Non-Commercial condition and no additional conditions are known as CC BY-NC. If you release your research data into the public domain, your are permanently waiving all copyright interests and rights to that data; this includes any control over how your data is used or protection against unfair competition. If you feel that you still need to control reuse of your data because you have not yet had time to use your data as you had intended, you may not wish to use a more restrictive licence as described above. If you have completed your plans for using your data, consider whether you really do need control on reuse. If not, consider maximizing the impact of your research by releasing it into the public domain. Research data in the public domain can be reused confidently as your intentions are clear. Research data in the public domain can be integrated by other researchers with any other data, no matter the licensing requirements of that data. The barrier of interpreting whether reuse is considered commercial or fair or substantial is removed, making reuse more attractive and affordable. There are examples of research communities that successfully rely on community norms to promote respectful reuse of data. For example, the Polar Information Commons (PIC) recommends sharing polar data as CC0 (public domain) and includes a list of community norms for both users and data contributors that promote quality data sharing and respectful reuse. This lesson is based on the excellent resource by the Digital Curation Centre. Citation: Ball, A. (2014). ‘How to License Research Data’. DCC How-to Guides. Edinburgh: Digital Curation Centre. Available online: http://www.dcc.ac.uk/resources/how-guides.